When you purchase land in Scotland, you're legally permitted to call yourself Laird or Lady. 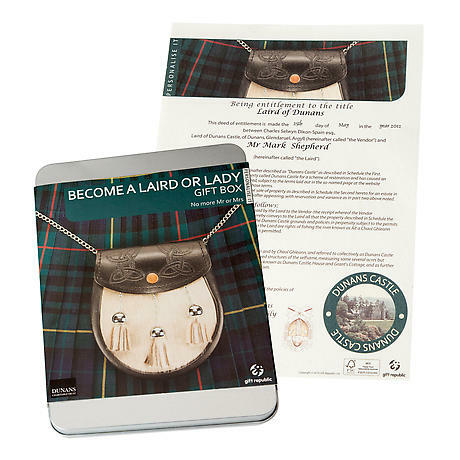 Kit has everything you need to buy a bit of the grounds of Dunan Castle and your official title. Gift tin includes information, souvenir poster, and history of the castle. Register online to receive proof of title, official certificate, and directions to Dunan. Sales help restore the castle and grounds.